This week’s Design Style Guide covers Mid-Century Modern – a classic, timeless style that is becoming popular again in a big way. 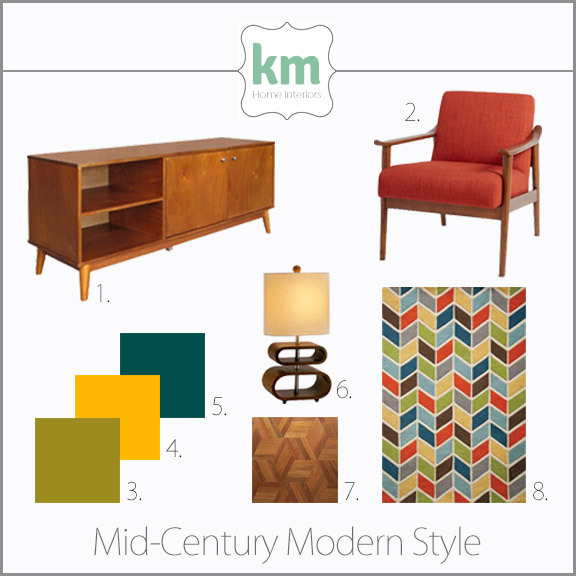 Definition Mid-Century Modern is the style that encompassed the middle of the 20th century. It was a response to the devastation of World Wars, a way to bring calmness and serenity into the home. The philosophy of this time was to bring the outdoors in and create large, open spaces filled with natural light. Mid-Century Modern is a timeless style that is gaining popularity again as people search for a “vintage” look for their homes and offices. History Mid-Century Modern, as the name implies, was most prevalent during the middle of the 20th century. It began slowly in the 1920’s as an answer to Art Deco, gradually grew in popularity through the 30’s and 40’s and hit its peak in the 1950’s and 1960’s, eventually fading during the 1970’s. It was first identified by name in 1984 by Cara Greenburg. Spot the Style Mid-Century Modern was a blending of new technology and natural materials. Furniture designers used new materials to create molded pieces – such as the famous Tulip Table and Chairs by Eero Saarinen. Warm teak wood was offset by deep, bold colorways such as burnt orange, avocado green, and mustard yellow. 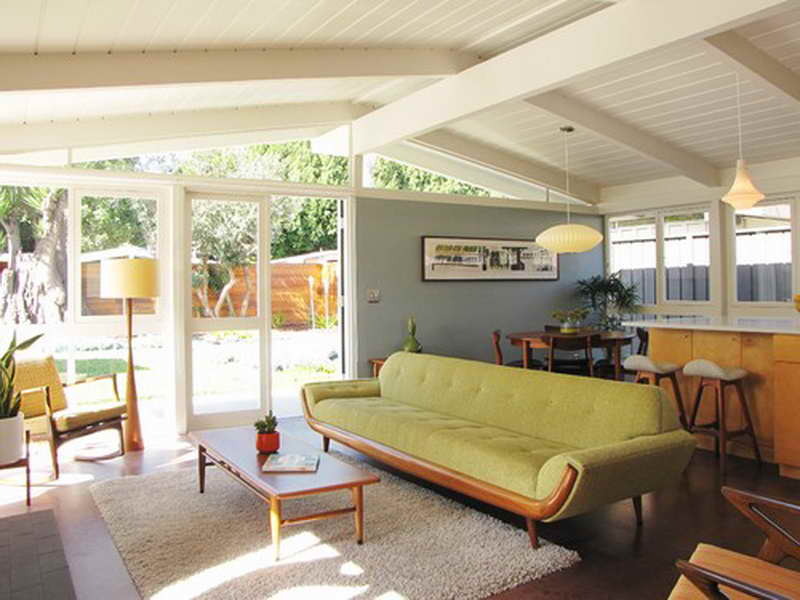 Simplicity was key to Mid-Century Modern – very little accessorizing was done. Instead homes were filled with carefully crafted, artistic furniture pieces and one or two pieces of large wall art. Graphic patterns took hold in the 60’s and continued on through to the 1970’s. Notables It is near impossible to pick just one piece of furniture or one building or one designer that defines this iconic style. Some of the most famous names in all of design came from this time period. But if you are just stepping your toe into the Mid-Century Modern world, I recommend starting with the most famous and prolific couple: Charles and Ray Eames. Seriously, these two were the Beyoncé and Jay-Z of Mid-Century design. They did it all and their furniture designs were so innovative, they’re still being sold today.